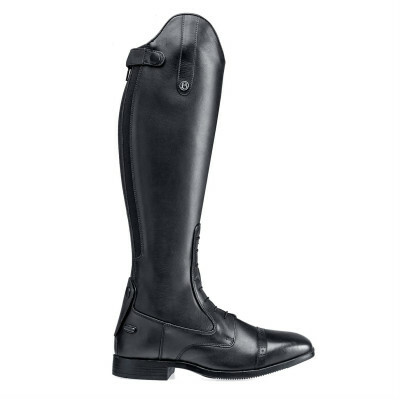 Brogini Capitoli V2 Laced Riding Boots are beautifully elegant boots that have been produced using the finest quality, smooth soft leather. The wave-cut topline gives a sleek and flattering silhouette whether you're wearing them for competition, or everyday riding. A subtle elasticated panel down the rear of the boot ensures a snug fit, while still being comfortable to ride in and the reinforced leather toe cap offers extra protection. There's also a hard wearing full length rear zip, decorative laced design to the front, brogue detailing to the toe and button up spur guard.